The hawks, owls and ravens observing you as you enter Lindsay Wildlife Experience are among more than 40 animal “ambassadors” at home here. Lindsay’s collection of California wildlife also includes invertebrates, reptiles, amphibians, and small mammals like opossums and ground squirrels. 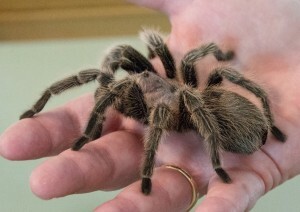 Some animals are on view to the public; others live off-exhibit and are brought out for classes, tours and presentations. Lindsay also cares for a small collection of domestic animals who help us demonstrate the difference between what’s wild and what’s not.